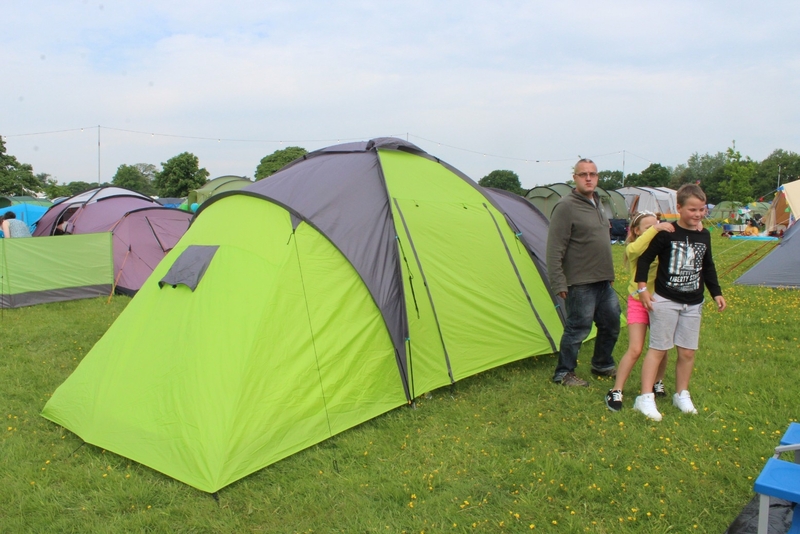 We packed up our tent and all our camping gear and heading over the M62 to Arley Hall in Cheshire. We arrived later than we should (next time – set off earlier!) to drizzly rain and a darkening sky. We missed the signs and ended up down some very narrow country lanes before thankfully finding our way to Arley Hall and the car park. Once parked we hired a trolley to take our mountain of things to the campsite. The trolley was charged at £6 for the first half hour and then £3 for every 15 minutes after. To begin with I was a little cross at having to pay, but in truth it was hard enough getting our stuff mountain to the camp site with the trolley, it would have been awful without it! Many people brought their own trolleys (very organised). It’s definitely something to consider if you are camping a lot and have room in you car. Many campers had also brought windbreaks to put around the entrance to their tents to create little mini gardens. I mention it as (not being very seasoned campers) I hadn’t considered it, but it is something I would definitely do another time. On the campsite there are lots of portable loos (with handgel to clean your hands as there isn’t running water). There are drinking water standpipes dotted around too for filling your water bags for a morning cuppa. 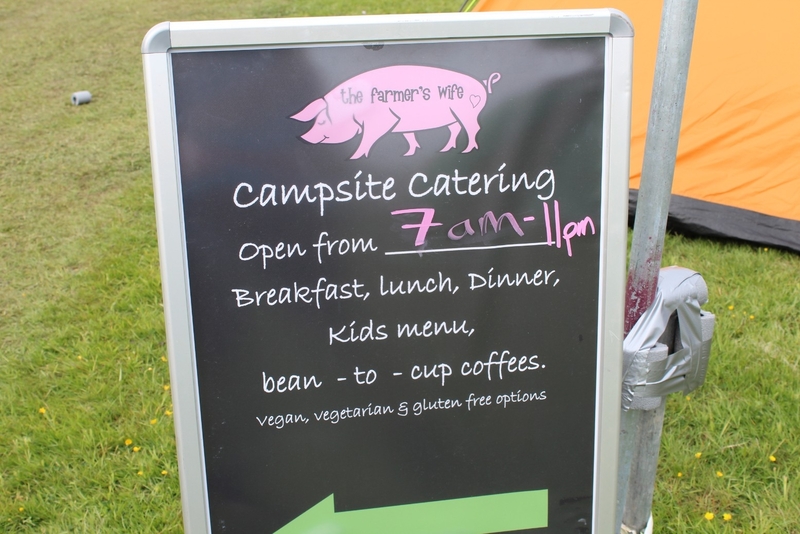 If you don’t want to be cooking while you are there, there is an excellent quality burger van, ‘The Farmer’s Wife’. I was very impressed with the burger I had, it was huge and really tasty. They also sell tea and coffee, as well as bacon and egg sandwiches in the morning. They are open late into the evening and early in the morning. Miss H and I went to buy coffee when we woke up. She spent some time looking at the menu before piping up that she would like ‘chips please’. I had to tell her that I didn’t think she should be having chips at 6am. Clearly she felt I was being unreasonable! 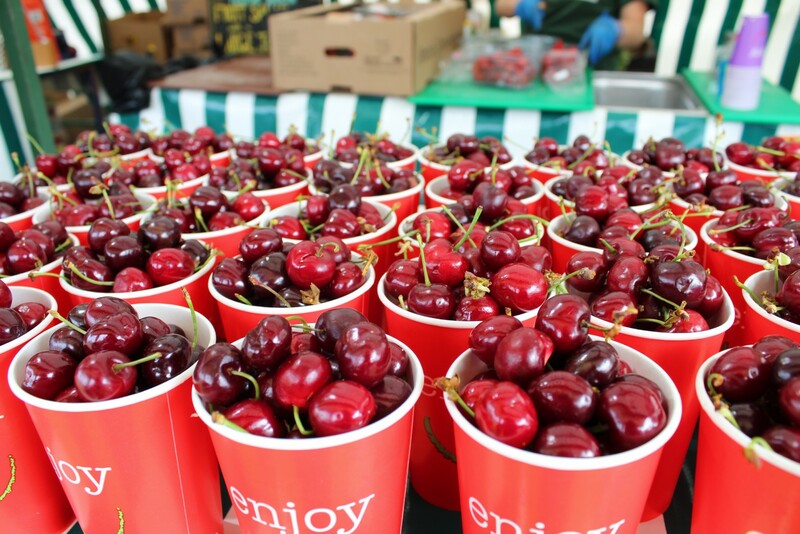 There is also a popup supermarket on the site selling necessities and a few luxuries. 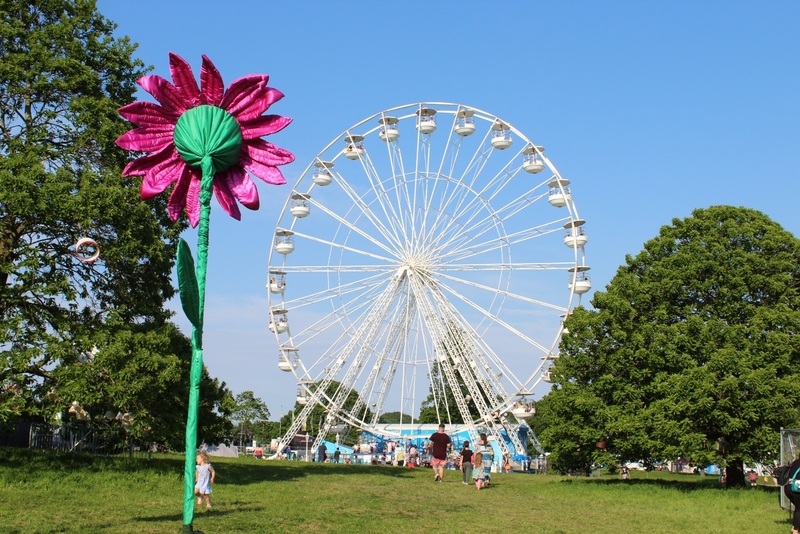 The festival gates opened at nine in the morning and most rides started at ten. There are lots of different stages and zones and you really need the whole weekend to get around them all. We spent the most time in the adrenaline zone where Master T tried his hand at ace throwing which was right up his street. He did well and got an axe in the target which I didn’t see anyone else do while we were there. 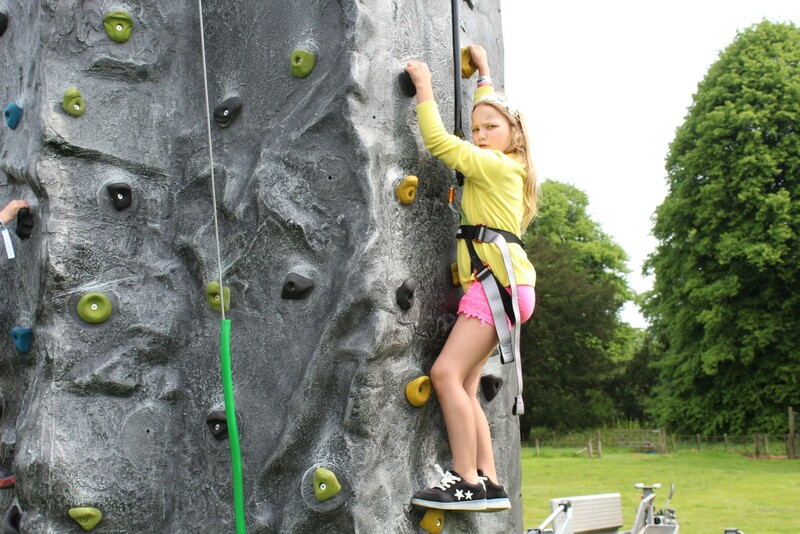 Miss H had a go at the climbing wall but was too nervous to go very high. 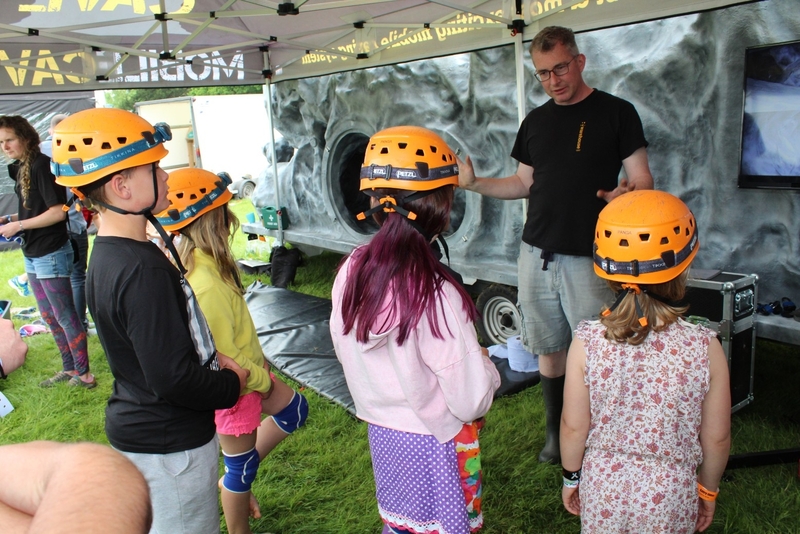 Mr Wonders was a big caving enthusiast at uni so he was pleased that they both had a go at the caving experience and enjoyed it. They saw the high jump and again both wanted to do it. Master T sometimes overthinks things and if he spends too long in a queue for something can get cold feet, but they both managed to jump (they were a bit shaky afterwards but proud!). I don’t have any photos – but it’s on the video! 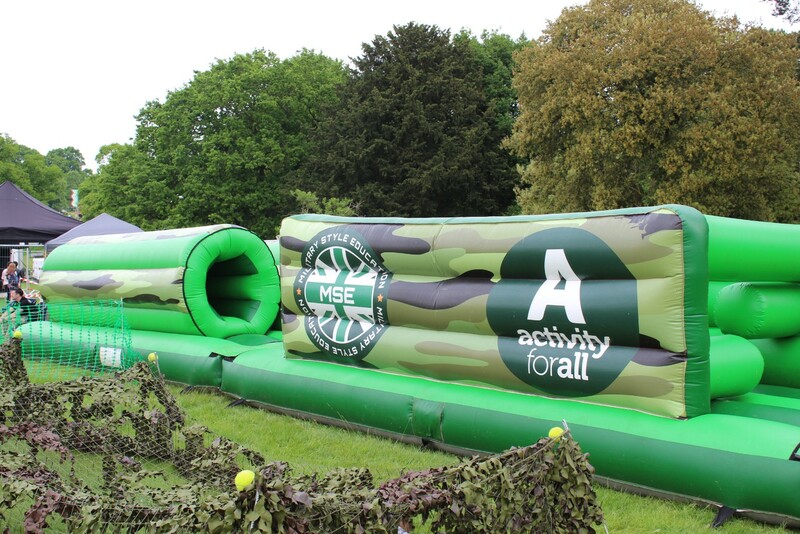 There was also a brilliant inflatable obstacle course. Another area we spent a lot of time in was the fairground rides. 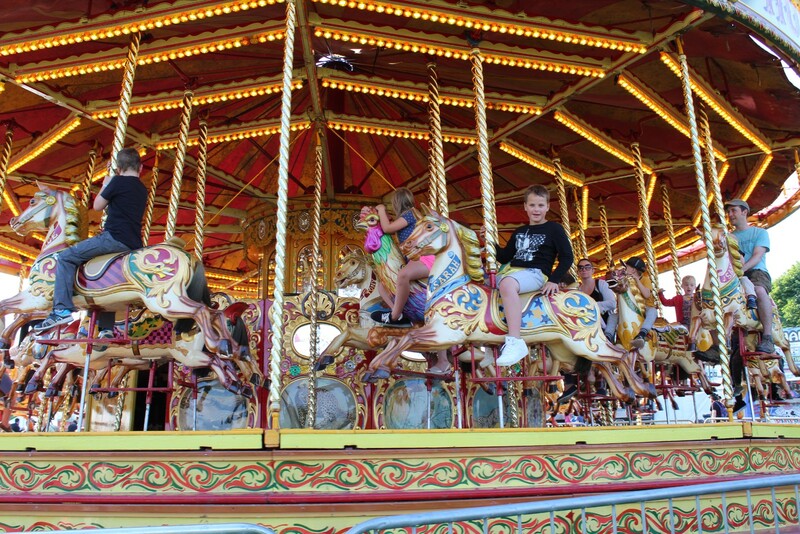 There were lots of lovely vintage kids rides as well as bumper cars, a gorgeous carousel and a huge Ferris wheel. I watched the three of them go on that! At the top of the hill there was an enclosed area of inflatable slides and a fun house. This was charged separately at £2 a ride or £5 for a day wristband. Knowing that the kids love an inflatable slide we opted for the day pass which proved to be a wise decision as we spent a lot of time in there! 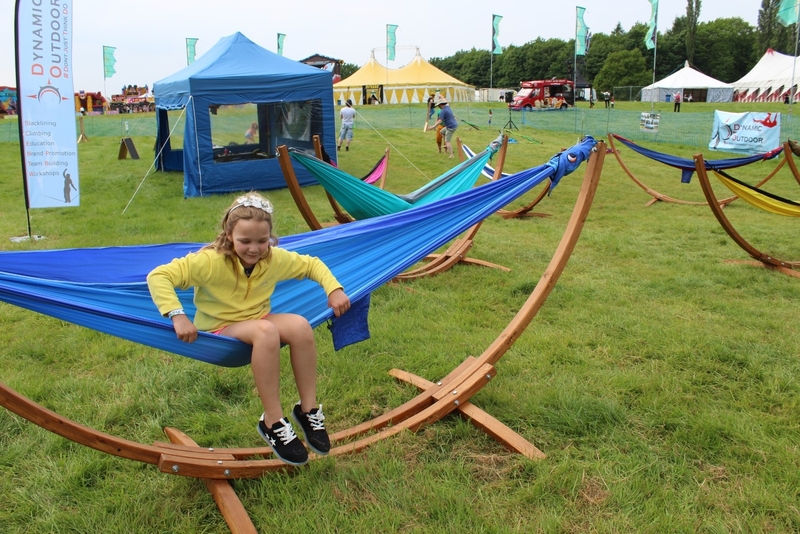 There were lots of pretty and unusual places to sit like these cool hammocks. Or these grass beds. They had urns of flowers at the footboard though which I felt was a bit creepily like gravestones. The kids didn’t make the connection though and enjoyed playing on them! But even with these seating areas I felt that more seating was needed, especially during the main part of the day when the festival was busiest. We chose to return to our tent around 4pm for an hour or so to recharge and it was notably quieter and more relaxed when we returned so I would definitely recommend that as a strategy. Especially with younger children. You won’t be stuck for something to eat at the festival there were some marvellous stalls selling all manner of foods. 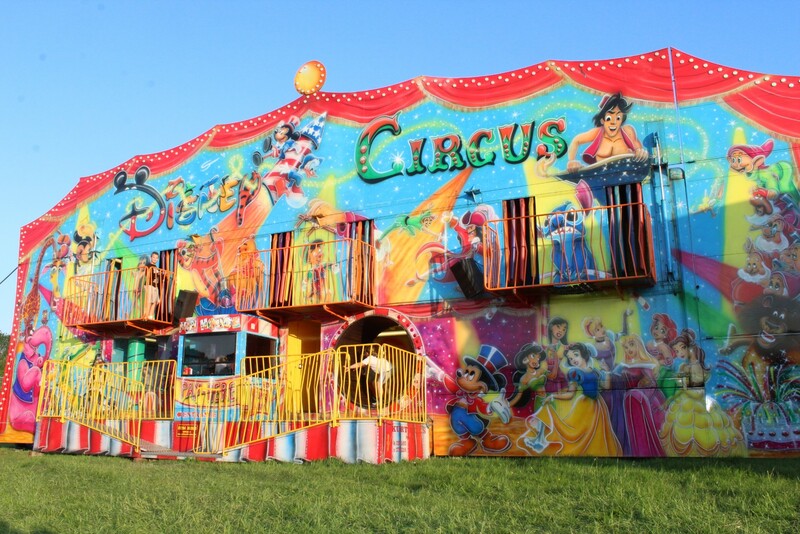 There was a main stage with the headline acts from the kids TV channels, an arena with acts like jousting or the Tigers mini motorcycles, and other smaller stages. 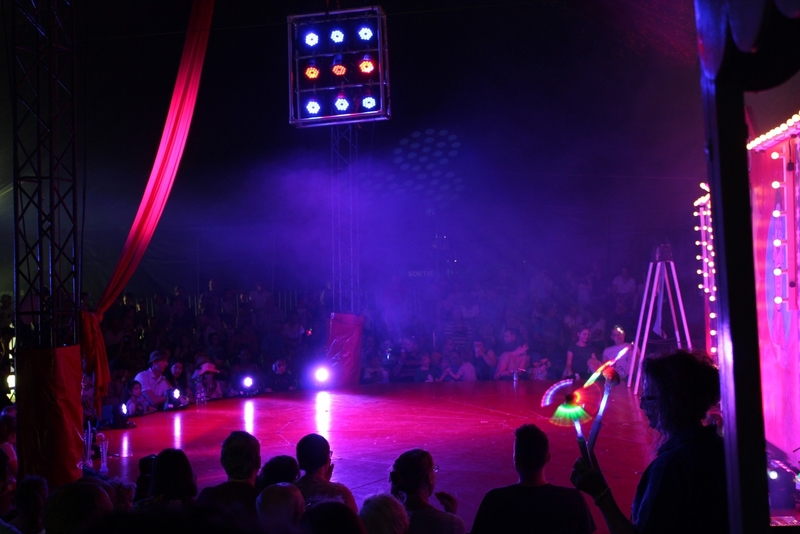 There was also two circuses that ran shows periodically throughout the day (get to the tents early for the best seats – plus you can have a sit down while you wait!). 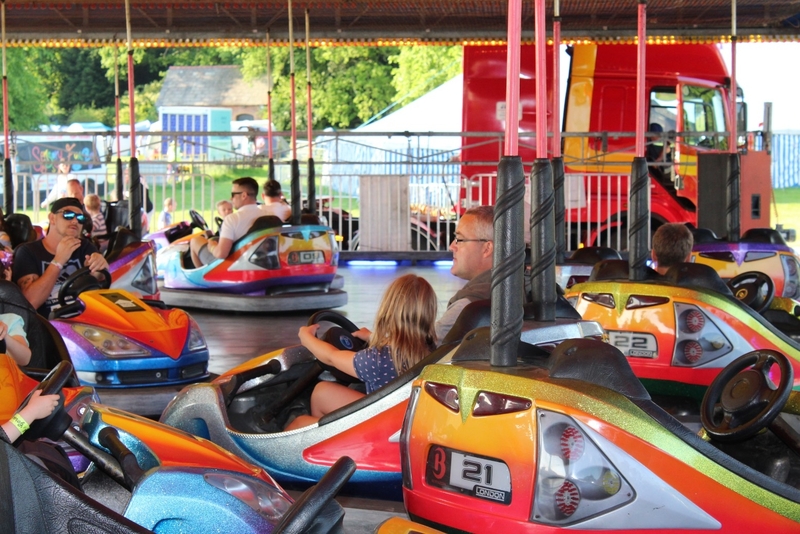 I would have happily spent more time at the shows and stages but my children had other ideas and loved the slides, rides and activities on offer. All of the shows and most of the activities are included in the price but. as always there are lots of things that are not. It’s worth priming the kids beforehand so they are not nattering to go on things that need paying for, and explain that so much is included and it’s best to do those things! 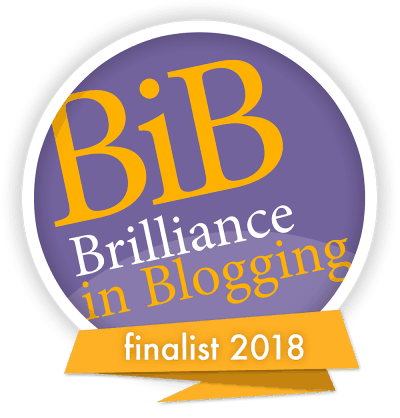 As I mentioned, we took our own tent and camped, but you could just visit for the day or you could indulge a little more and book glamping. 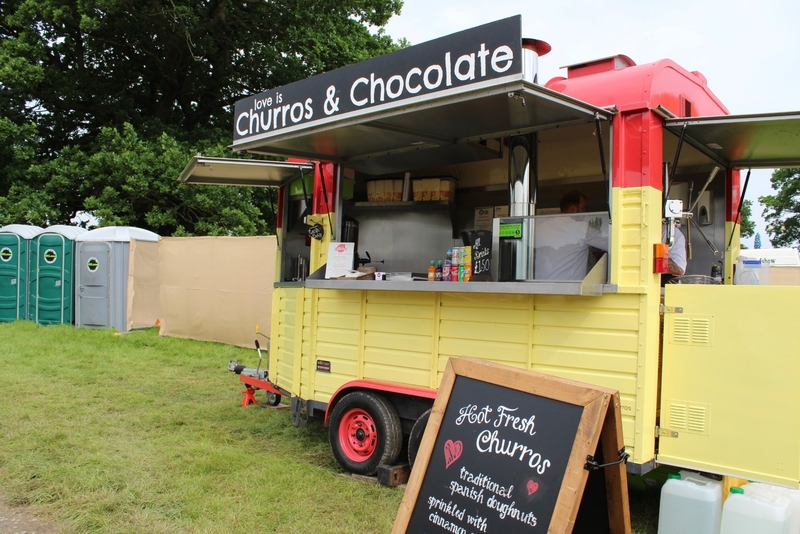 There was some fabulous festival glamping tents there and we particularly loved the look of the Village Bells bell tents, cordoned off in their own little area. 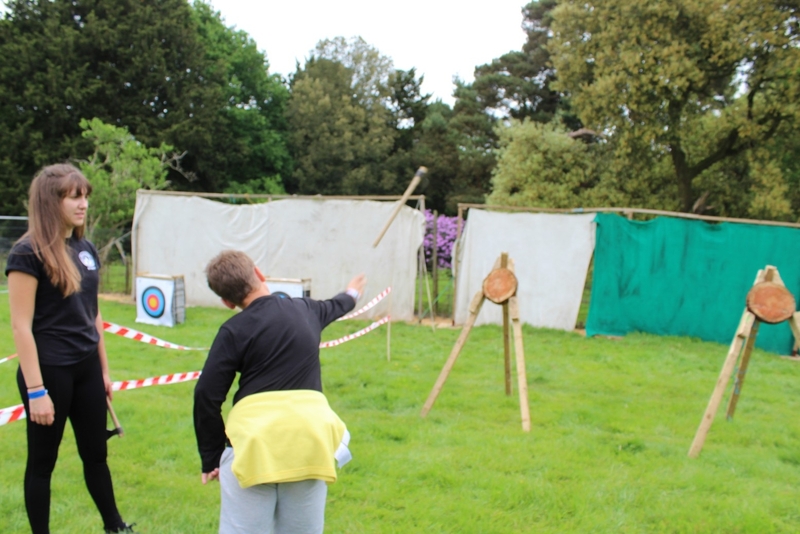 After the first evening the weather was glorious and the children thoroughly enjoyed their time at Geronimo festival. Geronimo Festival invited us to come and review, but as ever all the opinions expressed are my own. 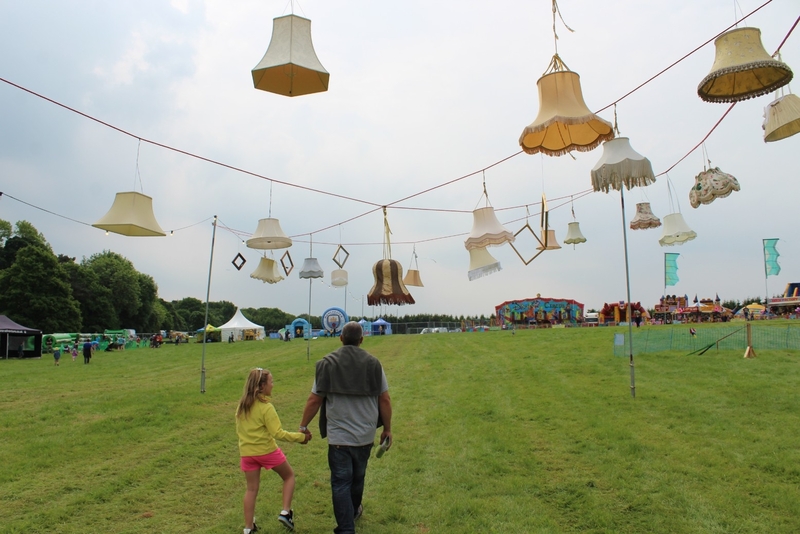 We have a list of fabulous Family Friendly Festivals in Yorkshire and the rest of the UK. 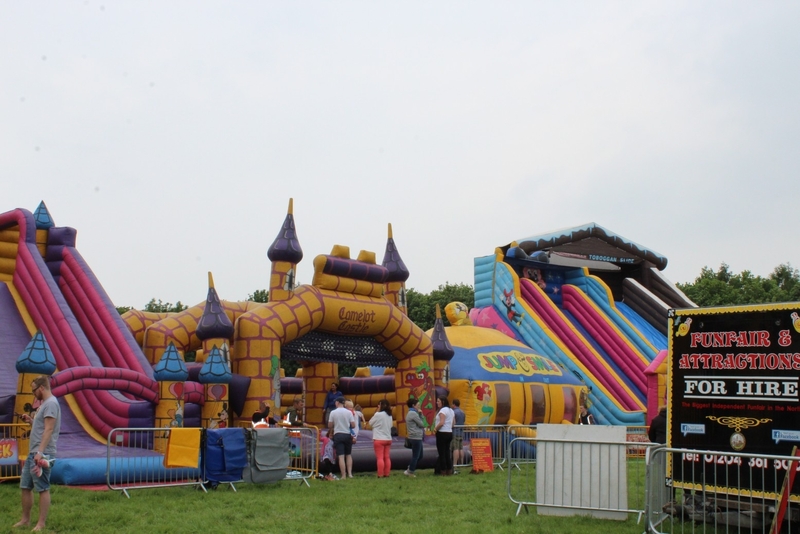 Have a look at this great post from Big Family Little Adventures about Monstrous Festival. 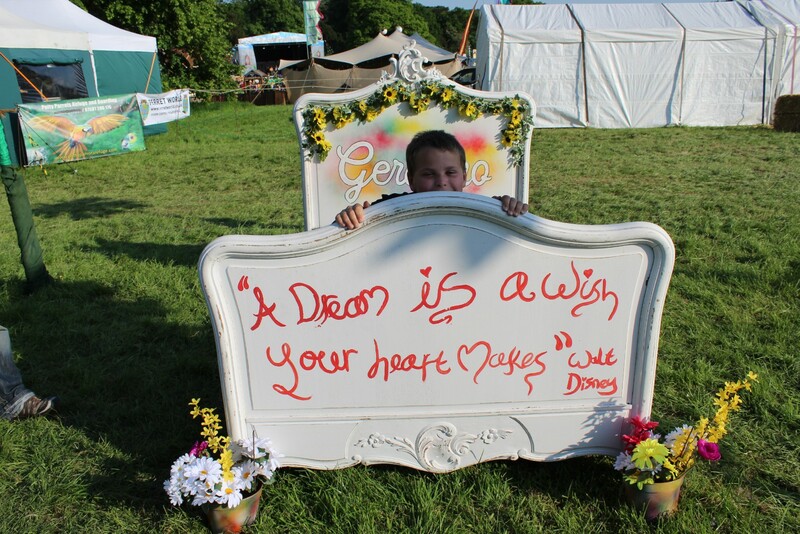 I’m really excited about our upcoming Geronimo festival now at Knebworth. It sounds like you had a really fun time and I love your photos. lol at your daughter wanting chips at 6am! great tips as well.